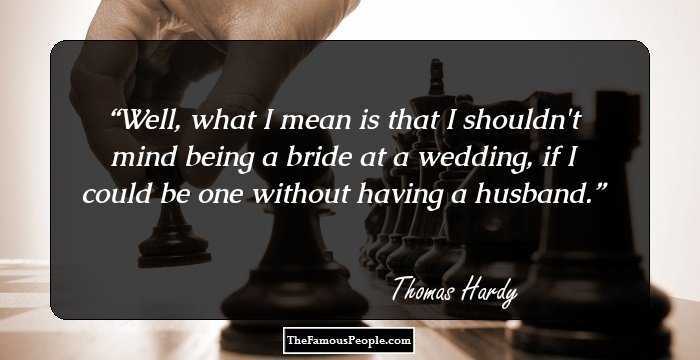 A collection of interesting wedding quotes and sayings from famous people. Be it your wedding day or of someone special, weddings are unforgettable events that involve a lot of merrymaking, fun, celebrations and gaiety. Wedding customs and traditions vary greatly across the globe yet the quintessence remains the same. Weddings create memories, be it you taking vows or sharing touching remarks, or shedding tears of joy. 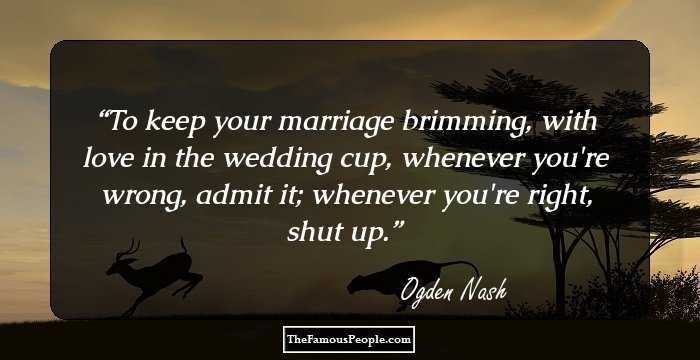 Wedding quotes and sayings can be romantic and soppy at the same time. If you are looking for some popular quotable quotations or thoughts that you wish to include in your wedding speech or your wedding invitation or to the decor, we have you covered. 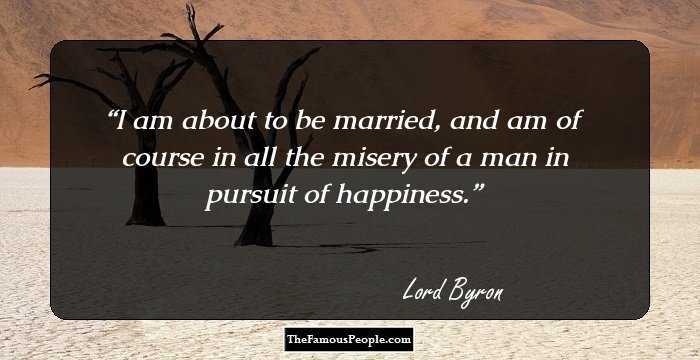 We have rounded some popular and famous quotations and sayings which can express your emotions on your wedding day or on the wedding of someone special. If you wish, you may keep the tissues handy. Don't answer the door in a wedding dress and veil, he might not think you're joking. Narciso Rodriguez was my first fashion big brother. He made my wedding dress, which was wonderful. I've never crashed a wedding. When I was a kid I, of course, used to crash parties. Crashing a wedding is difficult though because you have to have the suit, and you have to have information in case someone catches you. You have to know at least some names and something. I only did karaoke once in my life. It was with Courtney Love and it was a total disaster. She pulled me on stage in front of 500 people at a wedding. I'd never done karaoke before. Victoria heard across the wedding reception dance floor "You're loveable"! I don't really have many regrets. I did miss a lot of the events in the days leading up to my sister's wedding because I was at a U17 camp. There were moments like that growing up when I felt like I focused too much on soccer. But that's probably the reason I am where I am today. No couple buying wedding rings wants to be reminded that someday one of them will have to accept the other one's ring from a nurse or an undertaker. It will be a honeymoon,Demiris told her.She got the honeymoon but not the wedding. 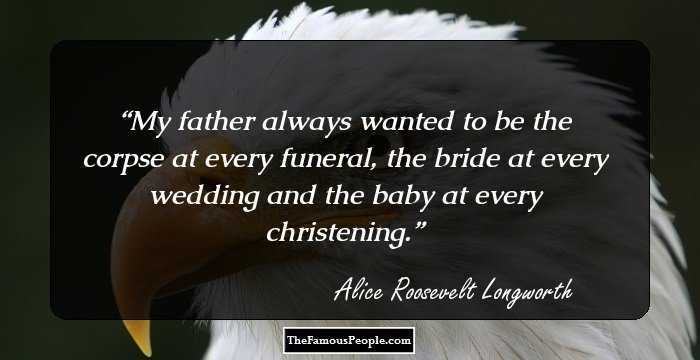 My father (Theodore Roosevelt) always wanted to be the corpse at every funeral, the bride at every wedding and the baby at every christening. Marriage is based on the theory that when a man discovers a brand of beer exactly to his taste, he should at once throw up his job and go to work inthe brewery.